Carline Ray: A Pioneer For Women In Jazz Dies At 88 A pioneering musician, and the mother of jazz singer Catherine Russell, Carline Ray died July 18. In the 1940s, Ray found a home in the all-female band The International Sweethearts of Rhythm as a guitarist and vocalist. In 2012, Fresh Air spoke with Russell about her mother. Carline Ray, who sang with The International Sweethearts of Rhythm and Mary Lou Williams died on July 18 at the age of 88. 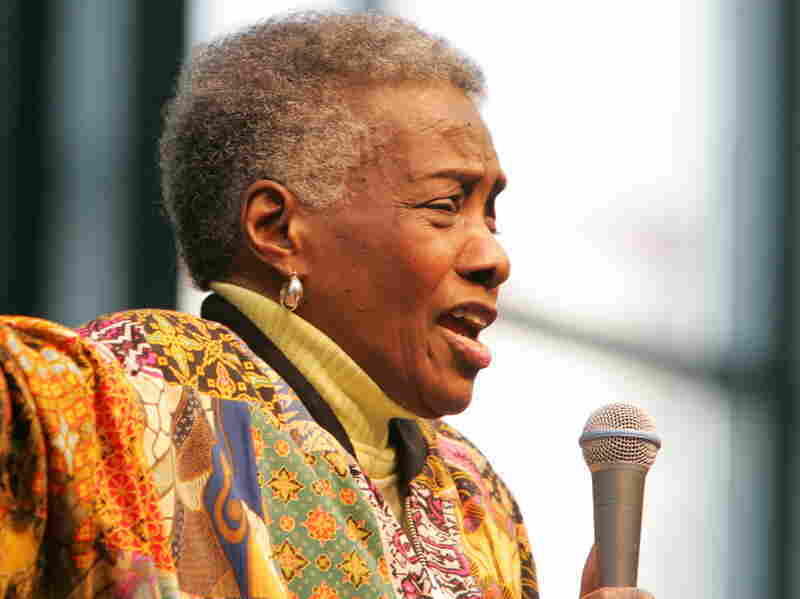 Pioneering musician Carline Ray died July 18 at age 88. In the 1940s, when it was difficult for women to be accepted as jazz musicians, Ray found a home in the all-female band The International Sweethearts of Rhythm as the guitarist and a featured vocalist. She was also a bass player who performed with Sy Oliver, Mercer Ellington and Mary Lou Williams. Ray was born in Harlem in 1925 during the Harlem Renaissance. She graduated from Juilliard and the Manhattan School of Music. Her husband, Luis Russell, led his own band and worked as Louis Armstrong's music director. Ray's daughter, Catherine Russell, is an acclaimed jazz singer. When Fresh Air recorded a concert and interview with Russell last year, she talked about her mother. "She wanted to play, and she was inspired by all the jazz on 52nd Street and hearing Billie Holiday live," Russell told host Terry Gross. Catherine Russell produced a new album of her mother singing — between 2008 and 2011, when the collection was recorded, she still had a rich contralto voice — which was released just before Ray died. This is FRESH AIR. 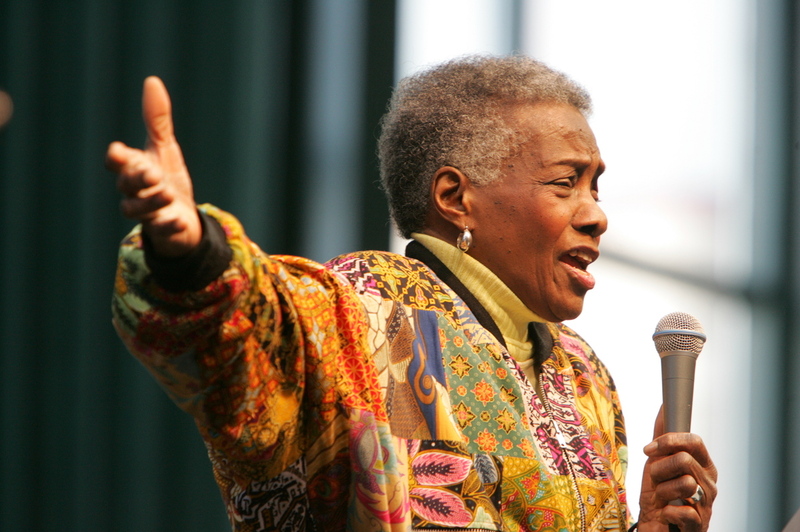 We're going to pay tribute to a pioneering woman jazz musician, Carline Ray, who died last Thursday at the age of 88. In the 1940s, when it was difficult for women jazz musicians to be accepted, Carline Ray found a home in the all-women band The International Sweethearts of Rhythm as the guitarist and a featured vocalist. She was also a bass player and performed with Cy Oliver, Mercer Ellington and Mary Lou Williams. Ray was born in Harlem in 1925 during the Harlem Renaissance. She graduated from Julliard and the Manhattan School of Music. Her husband, Luis Russell, led his own band and worked as Louis Armstrong's music director. I know of Carline Ray through her daughter, Catherine Russell, who's one of my favorite living jazz singers. When we recorded a concert and interview with Catherine last year, she talked about her mother. We'll hear that excerpt in a minute. Catherine Russell produced a new album of her mother singing which was released just before she died. The tracks were recorded between 2008 and 2011. Carline Ray was in her 80s but still had a rich contralto voice, as you can hear on the opening track. GROSS: That's Carline Ray from the album released just before her death. Here's an excerpt of my interview with her daughter, the great singer Catherine Russell. At a time when there were few women instrumentalists in jazz, your mother was playing guitar with The International Sweethearts of Rhythm. GROSS: In the 1940s, during World War II. And then your father dies when you're seven. GROSS: So you must've gotten the impression from her that women can definitely be strong and do things that are unconventional for women. RUSSELL: You'll be back, you know. And she left and she didn't come back, really. You know, she just left and started working right after she graduated from Juilliard School of Music. And, you know, she wanted to play and she was inspired by all the jazz on 52nd Street and hearing, you know, Billie Holiday live. And she's got a story about how, you know, Art Tatum played, accompanied her one night and all these great stories. And so she was really determined - she's always been very determined. And I grew up looking at a degree from the Juilliard School of Music on the wall, and right under that a degree from the Manhattan School of Music. And I just thought I - you know, A) I'll never live up to that, and B) you know, she was always doing these - and she's got a very low voice. She's a classical contralto so she sounds like this, you know, and she's always been very strong. And I'm not, you know, quite as strong that way. I'm a little more outwardly emotional, maybe in things like that, you know, so I really had to work on that. GROSS: Now, you're here singing live for us, which is thrilling. But there's an album - there's a song from the new album I actually want to play from the album because your mother is featured on it singing a duet with you on a Rosa Tharpe gospel song. RUSSELL: Sister Rosetta Tharpe and Sister Maureen Knight recorded a lot together back in the 1940s. And I actually got to meet and sing with Sister Maureen Knight on her last album that Larry Campbell, the great multi-instrumentalist, produced and played on. She did an album which was a dedication to Reverend Gary Davis. So it was blues songs, kind of gospel, spiritual songs. So I began to listen to the songs that Maureen Knight recorded back in the '40s and she swung. You know, that's what also grabbed me about her music. And so then listening on to this collection that I have of hers, I came upon this song, "He's All I Need." And I thought my mother is a very spiritual, you know, she's a woman of faith, of deep faith. And I thought what can I sing with her that will be simple that will really grab her that we can sing together? GROSS: That was Catherine Russell recorded last year, talking about her mother, Carline Ray, who died last week at the age of 88, just after the release of her new album vocal tracks. That Carline Ray album was produced by Catherine Russell. Now, here's the duet Russell was just talking about from Russell's own 2012 album, "Strictly Romancin'." GROSS: You can download podcasts of our show on our website, freshair.npr.org.